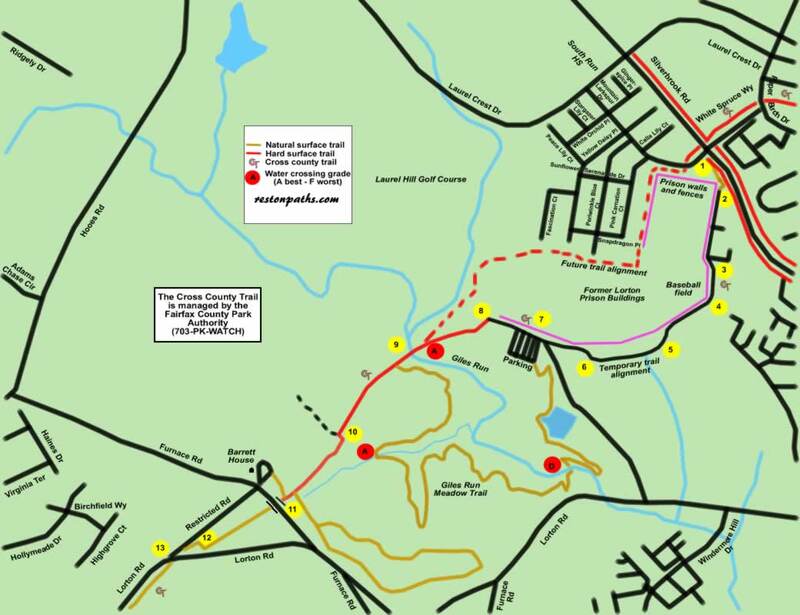 This is a temporary route around the Lorton Prison while the permanent route is constructed. Click here to view the permanent route. This route around the prison may be closed once the permanent route is officially opened.